Kevin was amazing! I had a great experience!!! I will definitely recommend all my friends and family to see Kevin to buy a new car!! I bought my 2019 CR-V from Kevin Malone after visiting 5 other Honda dealerships in Alabama. Brannon Honda was the only dealership that was willing to find the car that I was looking for. Kevin was nice to work with, being attentive without being pushy. Kevin Malone was my salesman - he went above and beyond helping me! Finance manager, David Shafer, was on top of paperwork as well! Best experience car shopping! 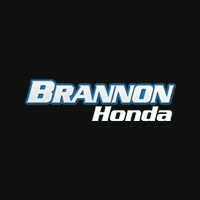 I will recommend Brannon Honda to everyone! Friendly and professional staff. We recently bought a new Pilot from Kevin Malone. My wife had found the one she thought she wanted online but it was in another state. I stopped by to see what Brannon had in stock and talked to Kevin. A couple of weeks later we went to see Kevin again and told him what we were looking for and what kind of deal we needed to make the purchase and he was able to make it happen. Very professional and made the process easy. He even called after a couple of days to make sure we were happy with everything. I wish all my purchases went this smooth. I had no intention on purchasing a new car. I was bringing my friend her title to her car because she was purchasing a new car. I owned a 2007 CRV and was very content with it. My friend who owned an accord, purchased a 2018 CRV. The sales team were very nice and knowledgeable. It was easy to sway me because I love my CRV and have truly enjoyed driving it for the 10 years I owned it. I believe the CRV is one of the best made cars on the road today. I would not purchase any other vehicle.The sales men made me feel very comfortable. I test drove the 2018 car and just fell in love. If and when I am ready to purchase another car, it will be a Honda. Kevin Malone was very attentive and informative, and made transitioning to the new Accord a pleasure! I felt like I got an awesome deal with my trade, which was my biggest concern.